Please, give me a proof that he is safe and sound! Goce Delchev really was killed on 4th May 1903 in Banica and it was confirmed during the insight of one of his imprisoned rebels, Georgi Saveklija. However, the authorities in Constantinople wanted additional proof from the Turkish office in Sophia. On 9th May 1903, five days after the murder, an encrypted telegram was sent directly from the Port. The Sultan’s diplomats sent a short reply to the Grand Vizier on 14th May: Delchev is one of the main heads of the internal organization and the reports in the newspapers about his death still haven’t been backed up by documents. Even though there were no documents in the newspapers, probably referring to photographs of the rebel’s dead body, unfortunately, Goce Delchev really was killed. The great Macedonian revolutionary Delchev, the Achilles of his time, who was sentenced to death in absence on 1901, with a prize on his head by the Sultan of 500, and later 1000 liras plus a ranking, was finally dead. According to the letter from Justinijana (Janka) Kanevcheva, the secret fiancée of Goce Delchev, his murder was prepared in the media a year in advance. The concerned teacher Janka, wrote a letter on 8th February and sent it the following day to the editor’s office of the Sophia newspaper “Work”, requesting that the rumors about the alleged murder of Delchev are denied. That short letter, written by a woman that Goce loved very much, said: “Dear Editor, enclosed in this letter are post stamps worth the three month subscription to your newspaper. I am asking you, if it is possible, that you publish a denial about the widespread false rumors that Mr. Goce Delchev was killed. If possible, publish it immediately and send it to me at the following address: Plovdiv, Petar Mutavchiev, teacher. Please give me a proof that he is safe and sound, even though many believe the opposite. Prove to them that he is alive. If you don’t want to, don’t send me anything at the address. And please, I would like to stay anonymous.” At the end of the letter, she wrote that the letter was written in Sophia on 8th February and that she hoped that the denial would be published. Because she was in contact with Goce all the time, she knew that he was touring the troops at the alleged time of his murder. She knew that the news was untrue because whenever he had an opportunity Goce sent her a message through the couriers that he was safe and sound. At the end of 1902 there was another rumor that he was killed, but she didn’t denied it then, because she had him by her side, happy that she could hug him and be with him, at least for a short time. Unfortunately, their happy moments together, lasted only for a few days. 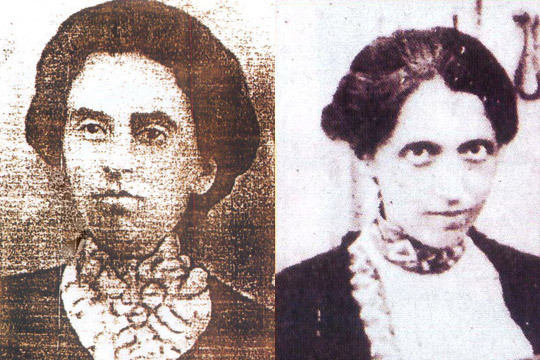 After the Christmas holidays of 1902, Goce Delchev went to her place for a goodbye dinner, before leaving again for Macedonia. Janka prepared him a nice dinner, but also gave him a red, uprising flag with a lion and a girl figure, jokingly telling him that the lion was him and the girl was her. After the dinner, she surprised him with a Christmas present – threaded sweater that would keep him warm in the cold Macedonian mountains. He left her house dressed in the sweater. That same night he also met his dear friend and fellow fighter Mihail Gerdjikov, who tried to persuade him in every possible way to postpone his urgent trip to Macedonia. Gerdjikov suggested that they both left a few weeks later. He admitted to Gerdjikov that he would do everything to postpone the uprising, because the people wasn’t armed and prepared for such thing. In those conditions, it wouldn’t have been an uprising, but a slaughterhouse. Gerdjikov later wrote that he had never seen Goce so sad and worried. He hugged him before he left and with tears in his eyes, told him: “If something happens to me, if I get killed, there are two things I worry about – my country and Janka. Keep them both safe. If at any time, later, there are some feelings between you and Janka, you have my blessing. Goce left Sophia right after the Christmas holidays. First, he arrived in Samokov, and then through Borovec and the village of Govedarci, the troop lowered to the Demir Kapija passage and started a new tour in Macedonia. In February 1903 Delchev was in Nevrokopsko where the news that two weeks earlier, the congress in Thessaloniki made a final decision for a people’s strategic Macedonian uprising, came as a big surprise to him. The President of the Macedonian revolutionary organization’s Central Committee, Ivan Garvanov felt no need to even consult him about such a decision. On 26th April, Goce arrived in Thessaloniki with a basket full of painted eggs. There was where he got the final disappointment from Garvanov, and especially, Dame Gruev. Gruev also agreed about an uprising, even though he knew that the people were poorly armed. Disguised as charcoal burner, Goce left Thessaloniki and went to the district of Ser, where he would act when the uprising began. Disappointed by Dame Gruev and heartbroken because of the decision for a premature uprising, on purpose or not, he took the necessary precautionary measures of security. On 2nd May 1903 he arrived in the village of Banica, and the area had already been full of Turkish army, mostly because of their pursuit of rebel Georgi Radev. While the troops were asleep, the Turkish army destroyed Banica. Radev, who couldn’t sleep, woke Goce and they both watched on from the porch that the Turkish were in the village. That is when the head of the organization in the village, Stojan Popov was killed, while Goce, Mihail Chakov, Georgi Radev, Dimitar Goshtanov along with rebels from both troops left the houses of Georgi Trendafilov and Zapro Ciparov. The group led by Goce went out at Bakar’s threshing floor where he fired towards the soldiers that suddenly came out from behind the stone retaining walls in the fields. In that short shootout, one bullet pierced Goce’s chest. He was only 31 years and 2 months old. The following day, 5th May 1903, the Turkish army had an insight on the spot and established that Goce Delchev was among those killed. A map of the Ser region and a manual on railway mining were found in his possession. The bullet also pierced the sweater that Janka Kanevcheva had given him for Christmas. On 6th May the remains of Delchev and Dimitar Goshtanov were laid in separate graves under the high elms on the field called Saint Kyriaki. 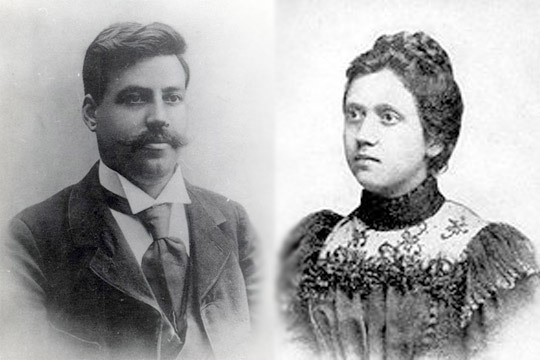 On St. George’s day in 1906, Mihail Cokov and Taskata Serki organized a secret mission to excavate Goce’s bones. They hid the little chest under the holy throne in the church in Banica. Goce’s remains were in the church until 1917. After the village and the church were in flames on three occasions, the chest with the bones miraculously remained intact under the altar. Thanks to Mihail Chakov and the sexton Nikola Mutafchiev, Goce’s remains were transferred to the town of Xanthi, and in 1917 through Plovdiv to Sophia. Until 1923, the chest was kept in Mihail Chakov’s home, lit by a lamp the whole time and in front of an icon. On 2nd August 1923, the remains were taken out of Chakov’s home and during the next ten days, the chest was exhibited in the church of Saint Kyriaki in Sophia. After that, they were transferred to ceiling in the church, and from there transferred to the office of the Macedonian brotherhood “Ilinden”, where they were kept until 1946. It has to be said that from 1923 the chest had a sign that read: We ask the future generations to bury the remains in the capital city of independent Macedonia. The oath was fulfilled and in October 1946 Goce’s remains were transferred to the church of “Saint Spas” in Skopje, the capital of independent Macedonia. 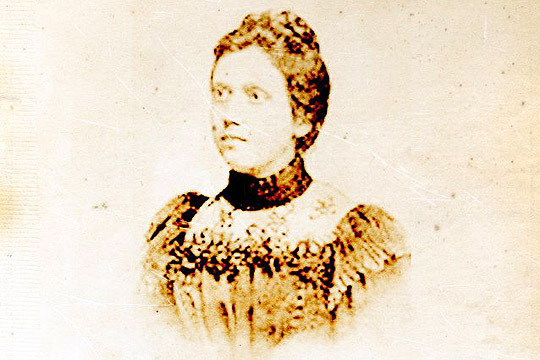 Justinijana Kanevcheva, Delchev’s fiancée, found out about his death few days later. She spent the next few years dressed in black, even though they weren’t married. Five years later, Mihail Gerdjikov proposed her, after the two started having feelings for each other. The following year she gave birth to a baby girl called Magda. Magda lived in Sophia up until few years ago, when she was 96. Mihail Gerdjikov, one of the closest and most faithful associates of Goce Delchev, fulfilled his friend’s oath: He took care of Janka until her untimely death and fought for Macedonia until his death. He married Goce’s fiancée and Macedonia became independent several decades later, albeit a part of it. Unfortunately, Goce’s family shared Macedonia’s destiny: he lays in Skopje, his mother Sultana in Kukush, his father Nikola in Blagoevgrad, his brother Hristo in Sophia, and it is unknown where his brother Milan was buried. There is not a single photograph of Goce with his brothers, sisters, relatives or his fiancée Janka Kanevcheva, the girl he loved so much. She only had a photograph with her husband Mihail Gerdjikov and their daughter, taken in Ohrid in 1941.
Who was Mihail Gerdzikov, the husband of Goce Delchev’s fiancee? The husband of Janka, Goce Delchev’s secret fiancée, Mihail Gerdzikov was born in Plovdiv in 1877. Even though he was Bulgarian, he was one of the greatest freedom fighters for Macedonia, a distinguished revolutionary, soldier and associate of Goce Delchev and Jane Sandanski. He went to school in Plovdiv and studied law in Lausanne and Geneva. He was one of the founders of the Macedonian secret revolutionary committee. He remained faithful to Goce’s Macedonian revolutionary organization and Goce’s one true love, Janka Kanevcheva, until his death.